As Safety Director for the AGC of Minnesota I've just completed the customization of some on-line courses for construction safety. I would value your feedback. Go to www.agcmnonline.com and download a demo and tell me what you think. Thanks. Depending on the condition, size and location of pipes in your facility you can have different pipe marking needs. Newer facilities may have perfectly clean pipes, while older facilities might have corroded or dirty piping systems. Others might have pipes carrying hot materials, while others do not. Design your own custom Property ID labels – in a snap! Custom labels with your company name, numbering or bar-coding and custom wording ensure that your property and valuables are identified as yours. Custom labels are an extra deterrent to criminals and make inventory of your assets even more comprehensive. Keeping your employees & your business safe from crime – starts with your parking lot! Parking lots are the #1 place for crime – don’t be a statistic – implement these practices today! Safety training is important – obviously. But, once safety training is over and employees are being regularly reminded and motivated to work safely, how do you track workplace accidents and mishaps? 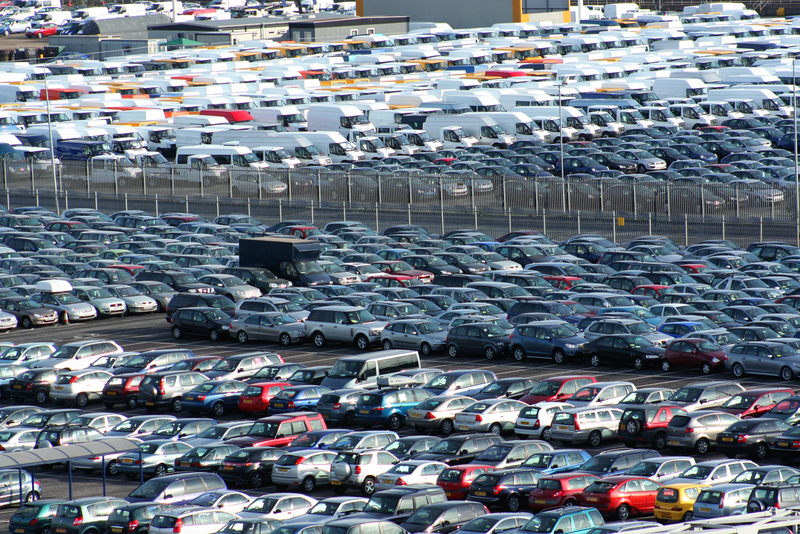 Does your business have everything for the perfect Parking Lot? You may not realize the importance of your parking lot. Most of us have to drive through access gates at some point of our driving careers. We have had incidents with gates swinging in the wind and hitting vehicles. This guy caught a gate that was probably hidden by the tree line as he rounded the corner. Where do you place markers on your piping system? In addition to the pipe marker color recommendations that I mentioned in my last blog post, ANSI (ASME) provides guidelines as to where and at what intervals markers should be placed on your piping system. Stop Employee Theft before it Happens! Employee theft can be considered an ugly topic, one most business owners do not want to even think about until they have to. How could any loyal, trustworthy employee steal from the company? Well unfortunately they will if given the opportunity. Especially during these trying economic times, people may become reckless and despondent. According to the National Safety Council's newest report, workplace falls have increased by 2%, keeping them at the top of the list when it comes to workplace injuries. How do you keep your workplace safe and free of workplace comp claims, lawsuits and lost time? Stock these products at your facility throughout the year and reduce the risk. Life is Like a Box of Metabonomics? Are your pipes labeled correctly? Pipe marking is an important, yet often unnoticed, part of workplace safety. It ensures that individuals working in the facility are aware of what pipes are carrying and any potential hazards associated with their contents. Developing a new safety training program or updating an old one can be a challenging task. But, it’s a critical part of workplace safety. To help you make your safety training more effective I offer the following three tips.